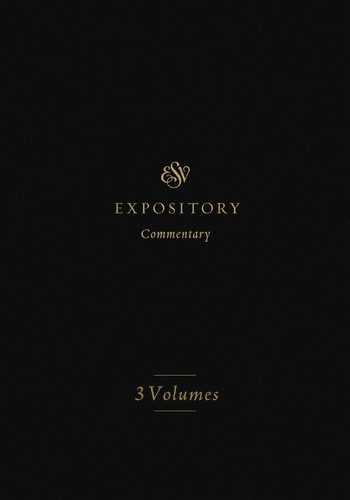 ESV Expository Commentary Set (ESVEC) - 3 Vols. Designed to strengthen the global church with a widely accessible, theologically sound, and pastorally wise resource for understanding and applying the overarching storyline of the Bible, this commentary series features the full text of the ESV Bible passage by passage, with crisp and theologically rich exposition and application. Editors Iain M. Duguid, James M. Hamilton, and Jay A. Sklar have gathered a team of experienced pastor-theologians to provide a new generation of pastors and other teachers of the Bible around the world with a globally minded commentary series rich in biblical theology and broadly Reformed doctrine, making the message of redemption found in all of Scripture clear and available to all.